Extremely pungent to taste and used widely in India and other Asian countries, Cayenne breed of chillies is 4, 000 years old. Columbus brought this breed to Portugal from India. Cayenne is long and slender in shape with dark green color which matures to bright red. The red Cayennes are used to make chilly powder. Check Your Shopping Cart Product Description : Cayenne pepper is a pure ground chili which has a smoky, pungent aroma & an intense heat. 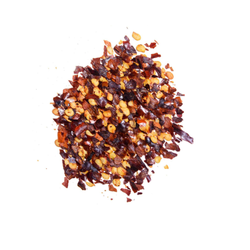 Adding a fiery zest to flavourful dishes around the world, it must be used very sparingly. Made from dried and ground red chili peppers. Adds a sweet heat to soups, braises, and spice mixes. 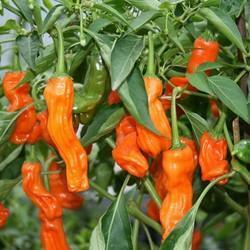 Cayenne is commonly used to describe any type of hot ground chile pepper. Is a spice made from the seeds of plants in the capsicum family (ranging from sweet pepper to chili - in general, the smaller the fruit, the hotter it is). Cayenne peppers' bright red color signals its high content of beta-carotene or pro-vitamin A. It includes both the ground seeds as well as the dried flesh.